I’ve always said I never wanted to work in retail. It’s hard work and unreasonable hours. Customers expect too much and are willing to pay too little. Employees ask too much for doing too little. And both groups are probably stealing from you. It’s a harsh judgement based on limited evidence, I know, and my recent Christmas shopping experience has given me new insights and a new respect for retail. You may have noticed, my latest entrepreneurial adventure is writing fiction. It has been an interesting and challenging process and forces me into doing retail. There’s no point in writing the book if you don’t sell a few. So, after the writing comes the marketing and selling part of the adventure. The customer in the store is still the best source for market research and feedback on your product, price, packaging, and positioning. Retail sales people do best if they like the product they’re selling and they’re supported by effective tools for making the sale. Direct contact face-to-face with customers is still more immediate, more effective and more valuable than the filtering and anonymity of on-line selling and social media contact. Price is not that important, as long as the product, packaging and positioning are aligned and consistent with it. Shelf space is very important. It makes awareness unavoidable and confirms that sales are expected in large quantities for added sales pressure. 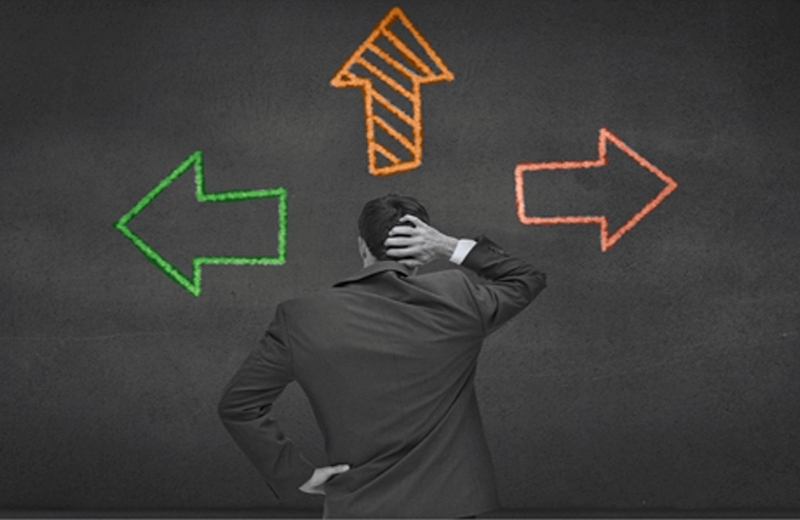 Proximity to direct competitors significantly aids positioning and awareness of your alternative. People do judge a book by its cover. Enjoy your holiday reading and learn more. Which is it this time? If you ask for an opinion you’ll get one. Almost nobody can resist giving you a response. They’re flattered that you asked and they don’t want to disappoint you. Apparently, you think they’re an expert in the subject. Or at least you think they might have an intelligent, insightful opinion. 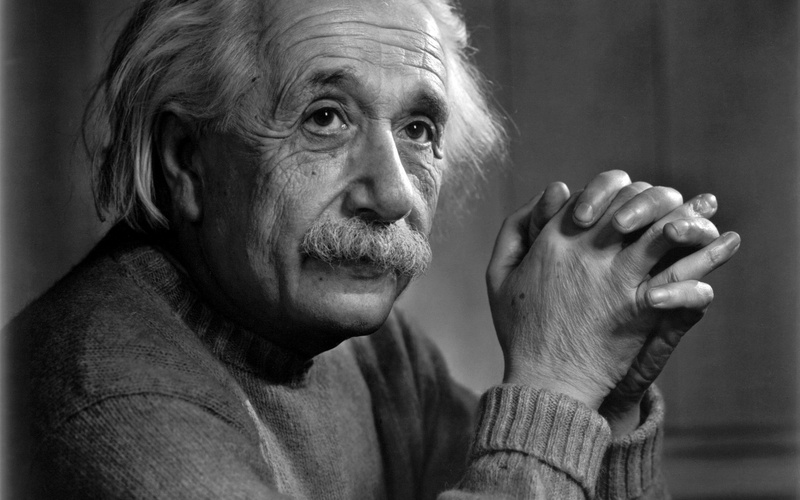 Nobody is going to tell you you’re wrong, on either count. They’re thinking, “Yeah, I’m sure I can come up with something useful.” They’re never thinking, “But I’m an idiot. 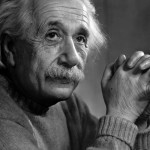 I know nothing and have no opinion on the subject.” Have you ever heard that answer? But it can be dangerous to ask. What if they’re adamant about a really bad idea? Now you have a problem. It’s best to preface your request with the caveat, “I welcome your input, but please don’t take it personally, if I choose to ignore it.” Much better than having to respond with, “That’s the dumbest thing I ever heard.” It’s hard to recover from that conversation. So, carefully ask the question and clearly distinguish between a formal request for expert advice and a friendly exchange of personal opinions. Confirm your expectations before you ask. It will be easier to know what to do with the response. 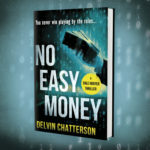 The first in a series of Dale Hunter Crime Novels, this novel an explosive mix of crime, cash and computers in the 1980s. Entrepreneurs face challenges every day. It’s hard to be a hero. This is the story of a young entrepreneur in the computer business under threats of violence from the Montreal Mafia. He wants to survive to protect his family and not play by gangster rules, but it will require courage and creativity and the support of some new friends. Somebody is going to get killed. Learn from how to be better and to do better by sharing the stories of experienced entrepreneurs and avoid the 7 Biggest Mistakes that entrepreneurs make. This 2nd Edition Comprehensive Guide provides all the tools, tips and techniques you need, including Real life case studies, Sample Business Plans and Financial Templates. 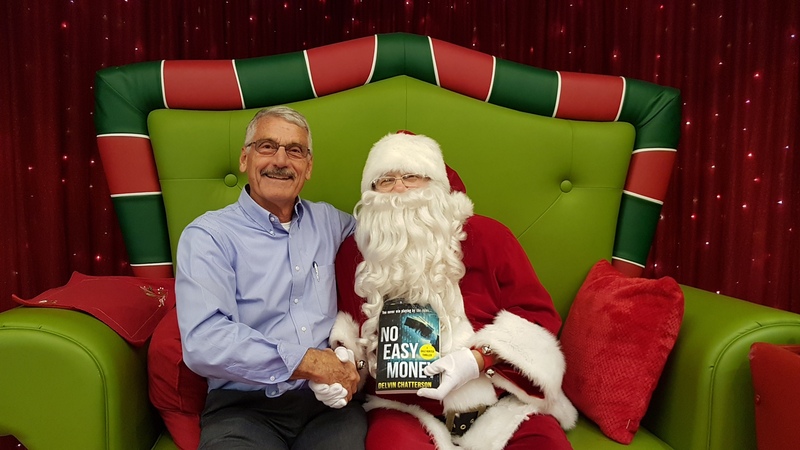 The books are all available NOW in hardcover, softcover, E-book, Kindle or KOBO online at Amazon or Indigo and Chapters & Paragraph Books in Montreal. Or 39,000 bookstores around the world. If you ask for it, they’ll deliver it! Buy a book. Tell all your friends, they’ll thank you later. Thank you all for your interest in my fiction adventure and my business books. Enjoy the read! 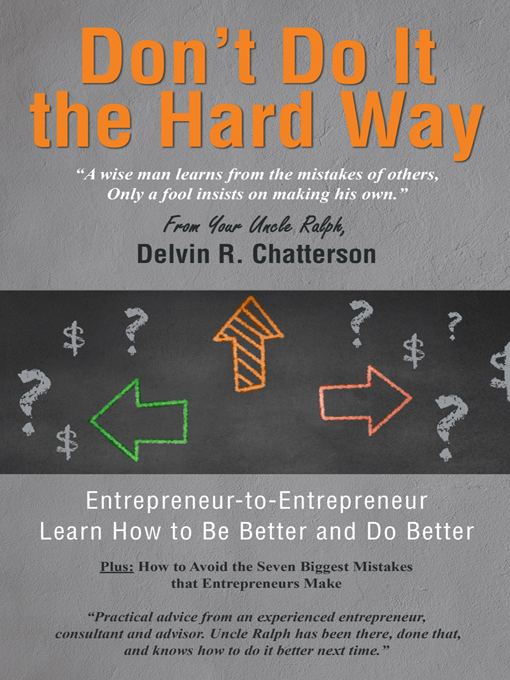 Delvin Chatterson, Author An entrepreneur and business advisor, consultant, coach and cheerleader for entrepreneurs, Del Chatterson has written extensively on business topics for decades. He is now writing fiction with a short story collection in progress and this series of Dale Hunter crime novels. Originally from the Rocky Mountains of British Columbia, Del has lived and worked for the past forty years in the fascinating French-Canadian city of Montreal, Quebec. Political decisions are risky because they're public and they're personal. They're political because they're about principles, policy and personalities. They're important and unavoidable. Political decisions have to be made, not just in politics... in business and in life. The question is, will the decision be guided by the principals and the policy objectives or by the personalities and the politics in play? 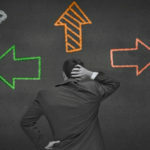 As President John F. Kennedy described in his book, Profiles in Courage, the decision maker's courage and character are revealed by decisions that ignore the politics and the personal costs, but defend the most important principles and move everyone in the right direction. 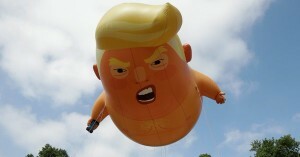 Recent examples: John McCain defying President Trump and his Republican colleagues; Republicans defending Trump to protect their own careers; Maxime Bernier abandoning the Conservatives; Premier Couillard betraying loyalties prior to an election campaign. 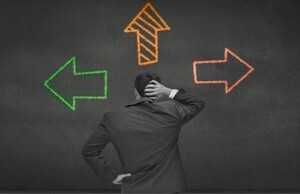 What about political decisions in your business? Also risky, important and unavoidable. Also revealing of courage and character. 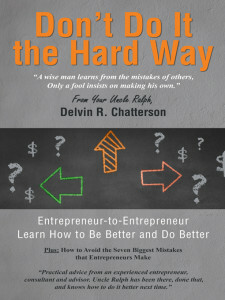 In my own book, DON'T DO IT THE HARD WAY, I describe the Seven Biggest Mistakes that entrepreneurs make and how to avoid them. Personal issues in the business are usually political issues. Especially in family businesses. Company politics often detract from good management and decision making in the business, affecting performance. Personalities and political issues may relate to the owner, family members in the business, the management team or some key staff members. Avoiding the Seven Biggest Mistakes is a question of balance. To avoid mistake #7, keep your personality in your business plan, but keep personal issues and politics out of your business. Check out Uncle Ralph’s books: "Don't Do It the Hard Way" and "The Complete Do-It-Yourself Guide to Business Plans" Both are available online or at your favourite bookstore in hard cover, paperback or e-book. I’m trying to prove both assumptions are wrong. A futile exercise? First, entrepreneurs can and do read – mostly non-fiction books and articles, mostly related to business and self-improvement. I think we can agree, entrepreneurs are time-challenged and do not want to waste it on fiction. Many do try to keep current on the economic news, business issues and maybe the latest best-seller on leadership or entrepreneurship, but fiction? Not often. No spare time to read for enjoyment, except on the plane or on the beach. Even then it’s seldom fiction. Are they missing the opportunity for some creative, lateral thinking? New sources of ideas, information and inspiration? Maybe, but their reading habits are already set and unlikely to change. 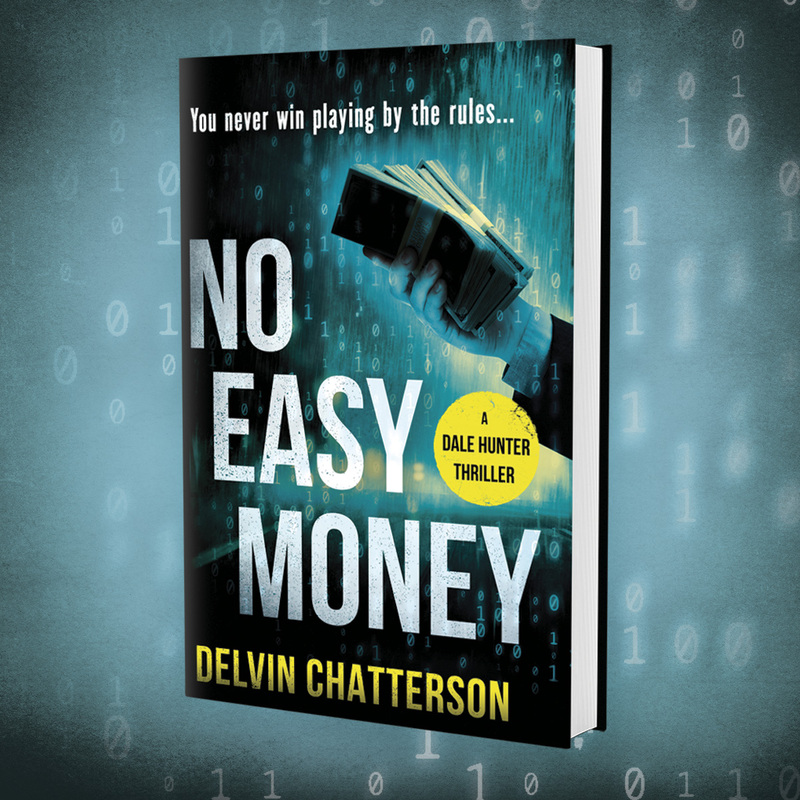 So my Dale Hunter Series of crime thriller novels set in the computer industry of the 1980s is about an entrepreneur, but it’s written for a wider audience. Appealing to both my 93-year old mother-in-law and my 14-year-old grandson and everyone in between. Different people like it for difference reasons. You can decide for yourself. Enjoy the fun summer read! Any feedback, comments, suggestions or reviews are welcome. 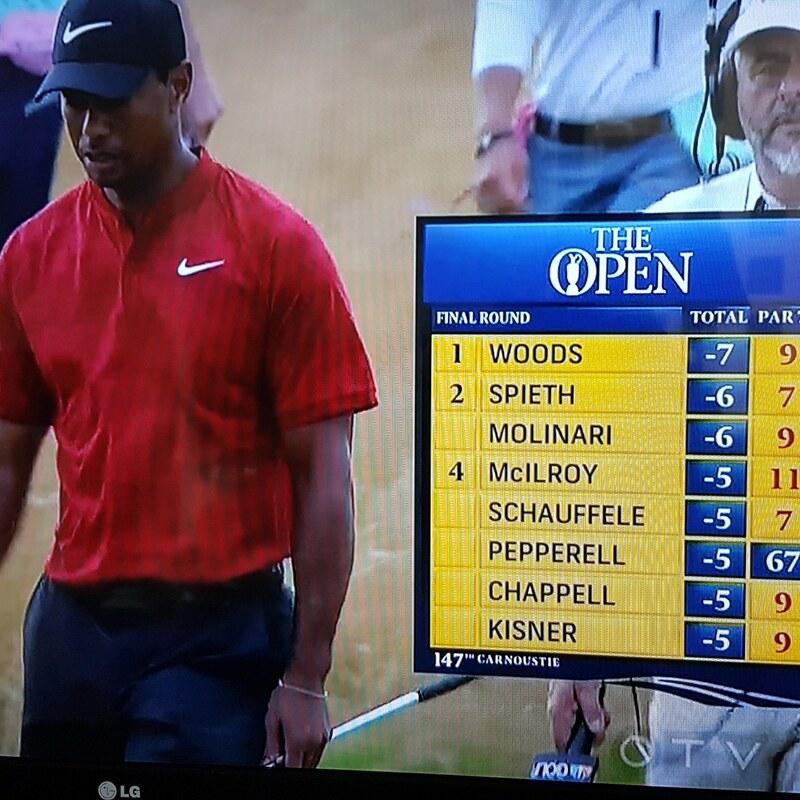 Tiger Woods was leading after nine holes. At one point it was Spieth, also Kisner, Schauffele, and Chappell. Finally the winner, after four days of challenging conditions and 72 difficult holes of Scottish links golf, was Francesco Molinari. Yes, the best golfer won, that’s the way it usually works. And Molinari did avoid the mistakes that eliminated so many others, including strong contenders who made miraculous shots, like Rory McIlroy. But the nature of golf is such that good shots don’t guarantee good results and bad shots don’t always end up in trouble. Sometimes a wayward ball heading out of bounds bounces off a spectator or a hillside and rolls back to the middle of the fairway. Sometimes a terrific drive rolls three feet too far and falls into a deep bunker where recovery without penalty is impossible. Remember: Business is like golf and life is not fair. You don’t always get what you want or even what you deserve. But the important basic principles for success remain: have a strategy and a plan, execute well, stay focused and avoid mistakes. Visit LearningEntrepreneurship.comand join our mailing list for more ideas, information and inspiration for entrepreneurs. 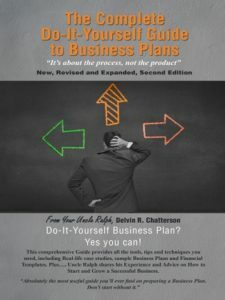 Check outUncle Ralph’s books, Don’t Do It the Hard Way and The Complete Do-It-Yourself Guide to Business Plans. Available online or at your favourite bookstore in hard cover, paperback or e-book. Bad behaviour needs to be changed, not analyzed, explained, rationalized or excused. Speculating over why it’s happening may keep the analysts and commentators busy, but it’s tiresome and irrelevant. If the bad behaviour can be stopped by removing the cause, then let’s do that, but if we cannot determine the cause, then let’s accept the fact that it will continue unless we change it. The best way to help change the behaviour is to allow the negative consequences to be evident and obvious to the individual and to his supporters, facilitators and enablers. It doesn’t matter if it’s an arrogant politician or selfish CEO, delinquent employee or spoiled 5-year old. Let's change the behaviour or change the player. “I’m only in it for the money.” Really? Hardly anyone admits to it; most of us are accused of it. Most of us already know that being motivated by personal gain and short term profit are losing propositions. We must have a higher purpose and satisfy a wider spectrum of interested stakeholders to achieve sustainable long-term success. We have to continuously satisfy the needs and meet the expectations of employees and customers, suppliers and strategic partners, governments and regulators, our communities and the society around us. Yes, it can be called recognizing our social responsibilities and yes, it can still be justified by the old free enterprise principle of being in our own self-interest, to make more money. You do not have to be a dedicated, altruistic social entrepreneur to accept that every business is a social enterprise. Every business has to deliver products or services and employment with net benefits to society and a minimum of social and environmental impacts. An enlightened entrepreneur is aware of those requirements and manages accordingly. No comments by Learning Entrepreneurship yet.